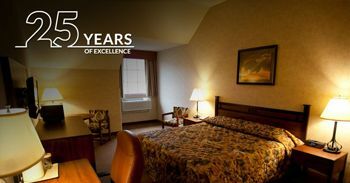 We’re celebrating 25 Years of Excellence with a week-long celebration culminating in a $25,500 giveaway! Join us December 14, 15 & 16 when we’ll give away $8,500 each day! Qualify each drawing day from 8am to 6:45pm to win that day. Every 25 points earned while playing with your Knight Club card will automatically earn you one drawing entry. Knight Club members must have active play on the day of the drawing and be present to win. All earned entries will be eligible throughout the three day drawing. At 3:30pm we’ll give away $500. Then, every half hour from 5pm to 8:30pm, we’ll give away $1,000 cash prizes! 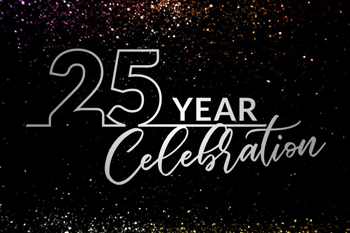 A full week of specials and giveaways are planned to celebrate 25 years in the game! Hot Seat — Random hot seat selection for guests playing the slots from 10am to 10pm. Four lucky players per hour will win $25 in free slot play! Free Bus — Prairie Knights guests ride Harlow’s Bus for free! Riders also receive a free burger and fries and $20 in free slot play. Bus departs Kmart in Bismarck at 9:30am & 6:30pm and Dan’s Supermarket in Mandan at 10am & 7pm. A 4 hour minimum stay is required. Guests must register with Guest Services. Reservations open at 10am on December 3 and close at 4pm on December 10. $10 Feast of the Rock Prime Rib Buffet Special — Enjoy our Celebration’s prime rib buffet for only $10 per person, plus tax. Offer not valid with any other special offer, rate or discount. $25K Celebration Giveaway — Cash drawings totaling $8,500 each day from 3:30pm to 8:30pm. Quik Mart Gas Special — Guests receive a 25¢ per gallon discount on gas or diesel. Platinum Knight Club members receive an extra 20¢ per gallon discount for a total of 45¢ per gallon discount. Elite Knight Club members receive an extra 30¢ per gallon discount for a total of 55¢ per gallon discount. Maximum of 25 gallons per fill. Appetizers in the Pavilion — All Knight Club members are welcome to join us from 2pm to 5pm for free food! We’ll serve chicken drummies, cheese sticks, onion rings, jalapeño poppers, bacon wrapped shrimp, vegetable & fruit trays, sodas, coffee and cake. Must be a Knight Club member and 21 or over to attend.